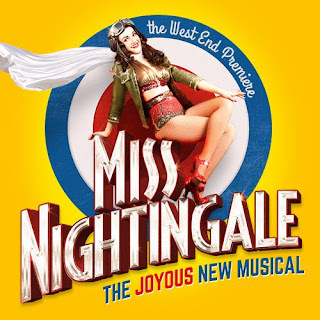 I first became aware of Miss Nightingale at the 2017 Musical Theatre Conference, ‘High Flying Adored – redefining success in new musical theatre in the UK’ at the Lyric in Hammersmith in March 2017. From memory, I seem to recall that the producers, Matthew Bugg and Tobias Oliver, had left the tech at the Vaults to dash across town to give their presentation. Mr Bugg Presents, Mathew and Tobias’s production company, had toured their original British musical of cabaret, prejudice and scandal in the dark days of World War Two in London, for over six years making the transitions from smaller studio spaces to main stages in mid- to large-scale venues. At the conference, writer and producer Matthew Bugg, along with co-producer and marketing director Tobias Oliver shared the inside story of their journey as the show was about to open at The Vaults in Waterloo. 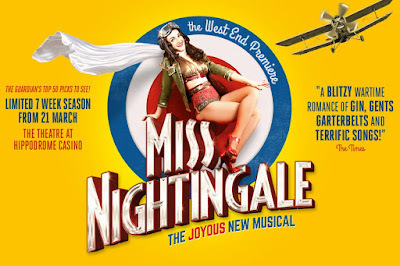 As they say, a year is a long time in show business, and Miss Nightingale is now about to open at London’s Hippodrome Casino Theatre in the West End. Having seen Miss Nightingale three times at the Vaults, I’m not surprised that it has now made the trip across the river and would imagine its new home at the Hippodrome Theatre will suit it down to the ground - hopefully the seats will be more comfortable too! Seemingly from the moment the audience arrives, they will be taken back in time to the hilarious and heart-warming world of the wartime West End. 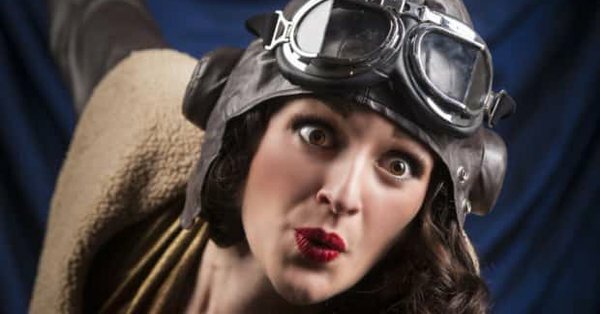 Themed food and drink will be served at cabaret tables, and the audience will be able to immerse themselves in WW2 London life during the days of air-raids, rationing and the Great British stiff upper lip. Presumably, the food and drinks will not be limited to ration-sized portions! My lasting memory of Miss Nightingale are Matthew Bugg’s wonderful songs which range from innuendo-laden Music Hall-style numbers - yes, there is one about a sausage - to haunting ballads, which brilliantly captured the spirit and biting wit of the 1940s. 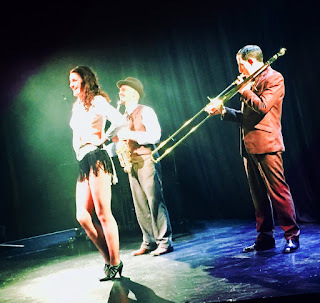 Above all it was a wonderful ensemble piece which I understand has been developed and improved – tap dancing is rumoured - and without a doubt should fit magnificently into its new West End home. The show is performed by a cast of six actor-musicians, led by Lauren Chinery in the title role, alongside Oliver Mawdsley as Frank, Matthew Floyd Jones as George, Adam Langstaff as Tom, Tobias Oliver as Clifford and Matthew Bugg himself, in the role of Harry. 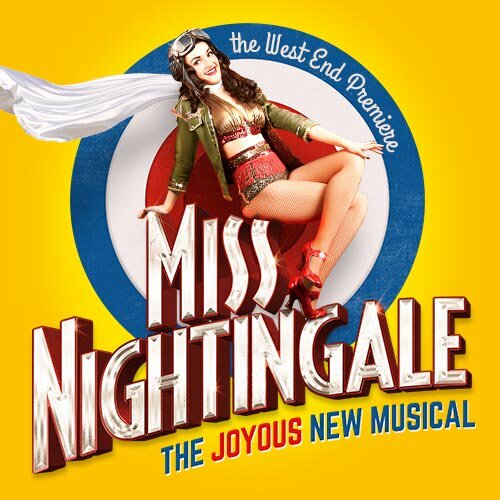 Roll on the wit, comedy, intelligence, romance and pure joy of Miss Nightingale!